Five National Blood Borne Viruses (BBV) and Sexually Transmissible Infections (STI) Strategies were released in November 2018. The Champion has already given an overview of the Fifth National Hepatitis C Strategy (>>>click here) and Third National Hepatitis B Strategy (>>>click here). 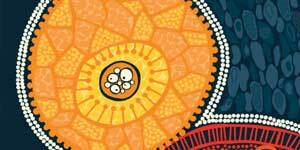 In this edition we present a summary of the Fifth National Aboriginal and Torres Strait Islander BBV and STI Strategy 2018-2022 (to read the report >>>click here). As the report itself acknowledges, “Aboriginal and Torres Strait Islander peoples continue to be disproportionately impacted by blood borne viruses and sexually transmissible infections. While some communities have had considerable success in responding to BBV and STI, this is not a common experience across communities and much more needs to be done.” Overall, there have been a few achievements reported since the last strategy, and some key challenges still to be addressed and overcome. In 2016, there were 176 notifications, with a rate of 31 per 100,000 compared to 23 per 100,000 in the non-Indigenous population (13.5% higher). At the end of 2016, it is estimated that over 24,000 Aboriginal and Torres Strait Islander people were living with chronic hep B infection, an estimated prevalence of 3.7%. In 2016, there were 1,122 notifications, with a rate of 173 per 100,000 compared to 45 per 100,000 in the non-Indigenous population (38.4% higher). There is limited information on the uptake of testing and treatment for hepatitis B; data is taken from the Australian NSP Survey, and are only available for hep C and HIV (testing only). The proportion among PWID reporting a recent hep C test was higher than non-Indigenous participants between 2011 and 2014; however, it declined between 2014 and 2016 to close to the non-Indigenous proportion. In 2016, 19% participants in the survey reported treatment in the last 12 months, an increase from 3% in 2015. However, lifetime and recent uptake of treatment was lower in 2016 compared to non-Indigenous participants. Notification data for blood borne viruses and sexually transmitted infections highlight the disproportionate rates of each STI and BBV relative to non-Indigenous Australians, recognising that some of this data lacks information to determine the true extent of infection and burden of disease. Incompleteness of Aboriginal and Torres Strait Islander status in notification data arising from some clinical services is a contributing factor, and there is no available estimate on the prevalence of hep C among Aboriginal and Torres Strait Islander people. The data presented does not include all state and territories, as “50% completeness of Aboriginal and Torres Strait Islander status” was required for analysis and presentation of each BBV and STI. Continued decline in hep B notification rates in younger age groups, reflecting the impact of Aboriginal and Torres Strait Islander childhood and adolescent vaccination programs. Uptake of sexual health services by young Aboriginal and Torres Strait Islander people increased, indicating that improvements have been made in the delivery of more accessible health services. This may also indicate improved health literacy among young Aboriginal and Torres Strait Islander people. The proportion of respondents from an Aboriginal and Torres Strait Islander background participating in the Australian NSP Survey increased from 11% in 2007 to 18% in 2017. However, it must be noted that during this period the prevalence of receptive needle and syringe sharing by Aboriginal and Torres Strait Islander program participants increased from 18% to 28%. There was progress in efforts to integrate sexual health services with primary health care, including through Aboriginal Community Controlled Health Services. While progress has been notable in some areas, there are significant challenges remaining that must still be addressed and overcome. Over the past five years, new diagnoses for several BBV and STI, including HIV, hepatitis C and syphilis, have increased significantly among Aboriginal and Torres Strait Islander communities. These increases in new diagnoses may reflect an increase in testing—a key achievement of the previous strategies—but they could be a very concerning trend. The target of the previous strategy to increase the use of sterile injecting equipment for every episode was not met, with rates of receptive syringe sharing increasing from 18% in 2007 to 28% in 2016 among respondents to the Australian NSP Survey. There was an increase in the proportion of Aboriginal and Torres Strait Islander people who inject drugs and attended NSPs, reporting hep C treatment, with lifetime history of treatment increasing from 9% in 2012 to 19% in 2016, and treatment in the last 12 months increasing from 3% to 18%, reflecting the increased availability of direct-acting antiviral (DAA) treatment from March 2016. Over the five-year period of 2012–2016, there was a 25% increase in the notification rate of new hep C diagnoses in the Aboriginal and Torres Strait Islander population, increasing from 138 per 100,000 in 2012 to 173 per 100,000 in 2016. The rate in the non-Indigenous population remained stable over this period (at 44 per 100,000 in 2012 and 45 per 100,000 in 2016). In Aboriginal and Torres Strait Islander people aged under 25 years, there has been a 50% increase in the hep C notification rate over the past five years but a decrease in the rate in non-Indigenous people in this age group. Although the notification rate of newly diagnosed hep B halved from 2012 to 2016 in the Aboriginal and Torres Strait Islander population, in 2016 it was 1.4 times greater than the rate in the non-Indigenous population, at 31 per 100,000 compared with 23 per 100,000. At the end of 2016, 11% of the total number of people living with chronic hep B in Australia were Aboriginal and Torres Strait Islander despite composing 3% of the national population. The limited progress demonstrated against the targets of the previous national strategy—included increase in rates of HIV and hep C; an increase in receptive needle and syringe sharing; and a lack of data to estimate diagnoses and treatment coverage for BBV in this population—indicates that a revitalised response is needed. Responses must be tailored and informed by the evidence base, including data on significant transmission routes which may differ from the non-Indigenous population. An understanding of the social determinants that lead to this greater impact is also required to ensure high-risk priority groups are effectively engaged. Hepatitis NSW, along with our Close the Gap 414 Working Group partners from 414 Elizabeth St, held a very successful Close The Gap event on Thursday 21 March. Close The Gap is part of the Australian Government’s strategy to reduce health and education disadvantage among Aboriginal and Torres Strait Islander people. For the last 10 years, schools, businesses and community groups have shown their support by marking National Close the Gap Day. Close the Gap Day is an opportunity to send our governments a clear message that Australians value health equality as a fundamental right for all. So what has Hepatitis NSW been doing in consideration of Close The Gap? Alongside the other organisations at 414 Elizabeth St, we have formed Close The Gap 414 partnership, to work in collaboration, and reflect and plan on the work we do for and with Aboriginal and Torres Strait Islander peoples. We understand that, very often, our communities overlap, and by working together we can provide a holistic service approach. Further we can pool our limited resources, which allows for expanded service provision. We continue to consult and work together at every opportunity, including for the upcoming NAIDOC week. Six Aboriginal focused hepatitis education sessions, to be delivered in Moree and Brewarrina, inclusive of two local Aboriginal drug and alcohol residential rehabilitation services, and one Aboriginal Medical Service. Australian politicians have held many campaigns to motivate people to work together to close the gap. 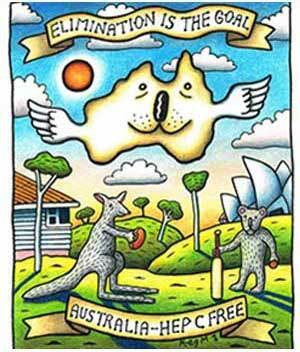 Several of these campaigns are still running, but showing signs of minimal approval among Indigenous Australians. In 2018, the ten-year progress against the key areas of the framework indicated on three of the target areas were likely to be met, with ongoing concerns in areas such as education and school attendance, and health. The latest report card on STIs and BBVs is not good for Aboriginal and Torres Strait Islander peoples (see article Overview of the Fifth National Aboriginal and Torres Strait Islander BBV and STI Strategy 2018-2022 above). So what is going wrong, why is it that the health gap is either remaining the same, and in some cases widening? For example, the Statement from the Heart is a proposal by Aboriginal and Torres Strait Islander people. It would be a constitutional reform that to establish a constitutionally enshrined First Nations’ representative body that would advise parliament on policy affecting Indigenous peoples. Its implementation would commit Australia to a process of truth-telling of its colonial history through the establishment of a Makarrata commission. But despite public willingness to consider its proposals, the key proposition – for a constitutionally enshrined Indigenous voice to parliament – has yet to gain bipartisan support. Hepatitis NSW spent a couple of days out in the beautiful Central West NSW area this month. 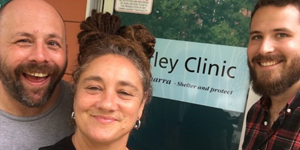 Members of our Live Hep C Free program partnered with colleagues from NUAA (NSW Users and AIDS Association) to deliver education workshops, and to also encourage and assist people into hep C testing and treatment at priority settings in Orange and Bathurst.